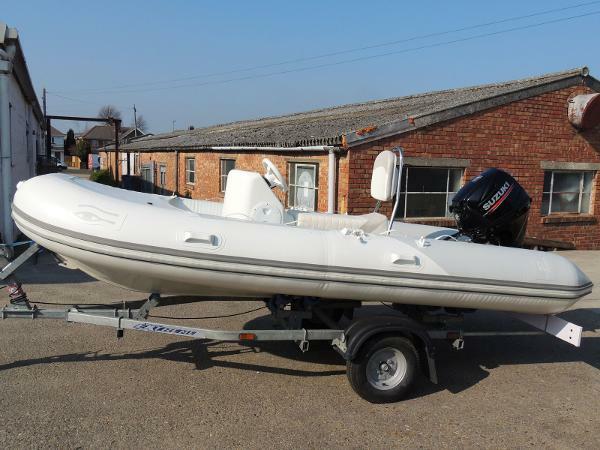 Ribeye TS400 4.0m RIB with Suzuki DF30ATS outboard engine - 20hp with electric start and power tilt, on an Extreme roller trailer. Presented in excellent condition and with very little use. Supplied new by BHG Marine in April 2017. 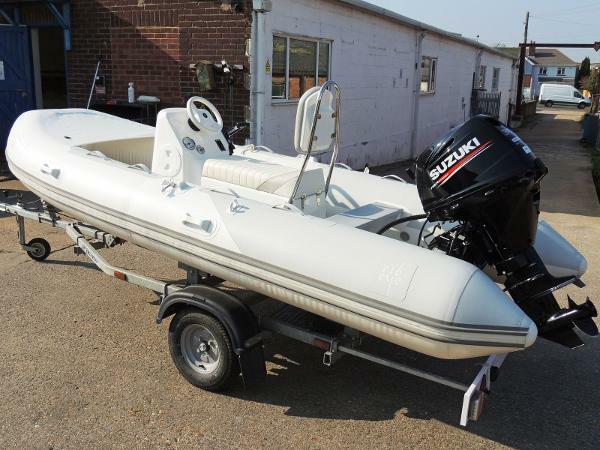 The boat features a central jockey console and seat, remote engine controls, steering system and Suzuki gauges. Inside the console is the fuel tank and battery. The bow area is covered by a zip-away bow dodger. 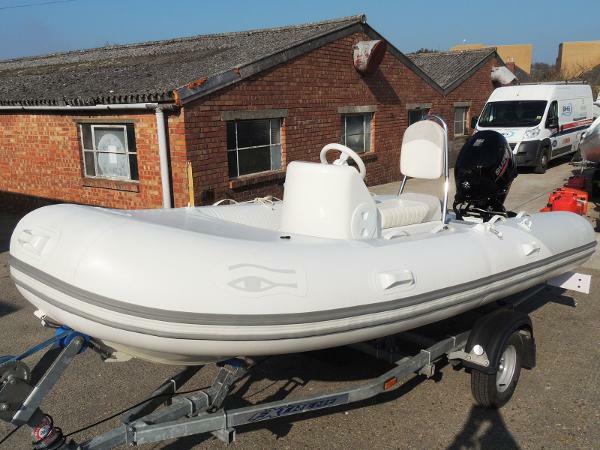 Inventory: Ribeye TS400 RIBSuzuki DF30ATSExtreme roller trailerCentre jockey consoleBattery2x 12 litre fuel tanksAutomatic bilge pump with switch Trailer lighting setTrailer ratchet strapsAnchorOverall cover One owner boat, always dry stored with the cover fitted and in excellent condition. Complete with all handbooks and paperwork from new.